Cinematograph Act, 1952 - Constitution of India - Article 226 - Writ of Mandamus - to stop releasing of the Tamil Film, namely, "Irumbuthirai", starring, Vishal, Samantha, Arjun - promoting against the policy of the Government of India, "Digital India and also "Aadhar Card". According to the petitioner, certain dialogues in the said film are creating a panic situation among the general public that the information given to the various authorities through Aadhar will be used for any other purposes, which gives a wrong information to the public about the Aadhar card and there is every likelihood of losing confidence on the Government of India over the policy of Aadhar card and Digital India. Therefore, the release of the movie shall be ordered forthwith not to be released. Hence, the petitioner has come forward with the present writ petition. Held:- According to the petitioner, there were comments about against Aadhaar card and the Centre's Digital India initiative. However, nowhere, it has been stated by the petitioner in his affidavit as to what are the said comments and as to how they create panic among the general public in regard to the Government welfare measures such as Aadhaar cards and Digital India initiative. In this case, admittedly, the Expert Body, i.e. 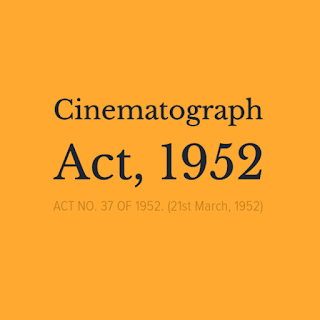 Central Board of Film Certification constituted under the provisions the Cinematograph Act, 1952 has already issued Censor certificate for exhibition of the film, after due verification and after going into the contents of the film. Therefore, once the Expert Body has given clean chit for exhibition of the film, this Court cannot sit over and override the decision of the Board at the instance of the petitioner particularly on the basis of his individual perceptions with reference to the contents of the film. In fact, admittedly, the petitioner had seen only the trailer of the film and therefore, he cannot have any idea of the total contents and the full theme of the movie and the full context in which the so-called offending dialogues exchanged between the characters. Therefore, we do not find any merit in the writ petition to entertain the same. The instant Writ Petition designed and styled as pro bono publico, has been filed by the petitioner, seeking the following relief: “To issue Writ of Mandamus, to direct 2nd respondent to take appropriate action to stop releasing of the Tamil Film, namely, "Irumbuthirai", starring, Vishal, Samantha, Arjun proposed to be released on 11.05.2018 by considering the petitioner's representation dated 8.5.2018." 2. According to the petitioner, he had seen a trailer of a film, "Irumbuthirai" which is scheduled to be released on 11.5.2018, wherein, he was shocked to note that the said movie is promoting against the policy of the Government of India, "Digital India and also "Aadhar Card". According to the petitioner, certain dialogues in the said film are creating a panic situation among the general public that the information given to the various authorities through Aadhar will be used for any other purposes, which gives a wrong information to the public about the Aadhar card and there is every likelihood of losing confidence on the Government of India over the policy of Aadhar card and Digital India. Therefore, the release of the movie shall be ordered forthwith not to be released. Hence, the petitioner has come forward with the present writ petition. 2. At the outset, we do not find any merit to entertain this writ petition. According to the petitioner, there were comments about against Aadhaar card and the Centre's Digital India initiative. However, nowhere, it has been stated by the petitioner in his affidavit as to what are the said comments and as to how they create panic among the general public in regard to the Government welfare measures such as Aadhaar cards and Digital India initiative. "In the present case, the Examining Committee of the Board had seen the film along with the experts and only after all the members of the Committee as also the two experts gave positive views on the screening of the film, thereafter only the certificate was granted. Therefore, since the expert body has already found that the aforesaid film could be screened all over the country, we find the opinion of the High-Level Committee for deletion of some of the scenes/words from the film amounted to exercising power of pre-censorship, which power is not available either to any high-level expert committee of the State or to the State Government. It appears that the State Government through the High-Level Committee sought to sit over and override the decision of the Board by proposing deletion of some portion of the film, which power is not vested at all with the State." 4. In this case, admittedly, the Expert Body, i.e. 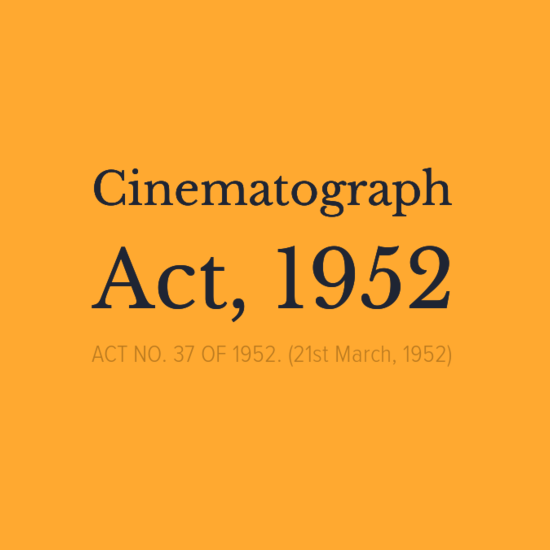 Central Board of Film Certification constituted under the provisions the Cinematograph Act, 1952 has already issued Censor certificate for exhibition of the film, after due verification and after going into the contents of the film. Therefore, once the Expert Body has given clean chit for exhibition of the film, this Court cannot sit over and override the decision of the Board at the instance of the petitioner particularly on the basis of his individual perceptions with reference to the contents of the film. In fact, admittedly, the petitioner had seen only the trailer of the film and therefore, he cannot have any idea of the total contents and the full theme of the movie and the full context in which the so-called offending dialogues exchanged between the characters. Therefore, we do not find any merit in the writ petition to entertain the same. 5. Accordingly, the Writ Petition stands dismissed as devoid of merits. No costs. Consequently, connected WMP is closed.